InstaShow is an Instagram WordPress feed plugin that helps you create custom galleries of Instagram images. It’s a good choice for photographers, celebrities, public organizations, brands, designers, restaurants, cafés, non-profits and many others. You get a ton of flexibility with InstaShow. This plugin allows you to build 100% responsive galleries with ease. Instagram is the preferred method of sharing images on the net. This social network has lots of power that just about anyone can tap into. There are lots of reasons why you might want to build an Instagram gallery. You can advertise products, drive traffic to your site, solidify your brand, create a conversation and more. Sharing the best just got easier. You can display feeds from the sources of your choice by using #hashtags, usernames or links. Get complete control of your content with filters. With custom filters you can decide what your Instagram feed will showcase and what you want to leave out. With over 60 different parameters to configure and 10 built-in color schemes it is easy to create picture perfect galleries. Place your gallery in any block of your website via the mobile friendly widget. Customize the display from the admin panel with easy options. You can set the width, height, gutter, rows and columns. Set responsive breakpoints so your feed comes out exactly how you want on any device. The UI is also quite flexible, so you can provide the best user experience. InstaShow comes with 14 adaptable parameters for things like navigation and scrolling. Give your visitors more reason to stay by adding popup data. This is all just the beginning. 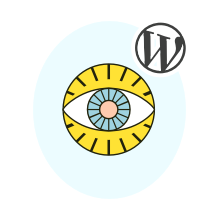 This plugin has some awesome WordPress only features. Instagram seamlessly integrates with the great Visual Composer for drag & drop page building. You can also just paste the shortcode directly into any widget. This plugin is lightweight, stylish and powerful. Start building awesome galleries like a pro in minutes. Try the live demo to get a feel for InstaShow and see for yourself.